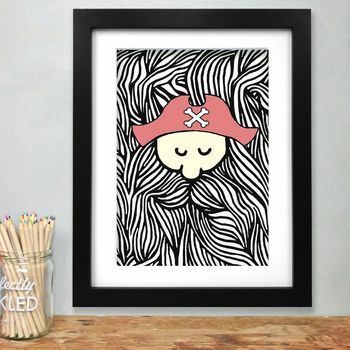 This is a fun illustrated wall print featuring an illustrated, bearded pirate. Funny, unique and attractive, this art print is sure to start a conversation once it is framed and on your wall. 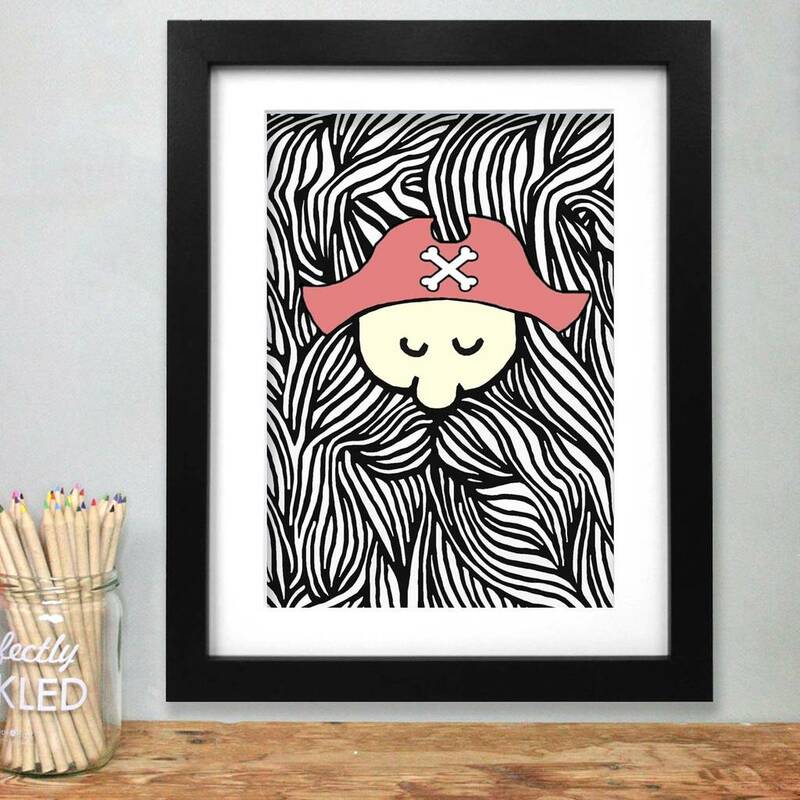 This art print features a bearded pirate wearing a red hat. Keep this print for yourself or give it as a quirky gift to the pirate lover in your life!